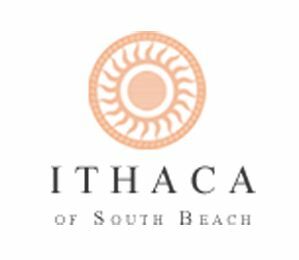 Ithaca South Beach Hotel - New, fresh, & discreet boutique hotel 1/2 block from Ocean Drive - South Beach (SoBe) - Miami Beach. Large & luxurious rooms, walking distance from beach, shopping, cafes, restaurants, clubs and more! An oasis above the high energy of South Beach, the new Ithaca Boutique Hotel sits ½ block from one of the most sought after vacation hot spots in the world; Ocean Drive - SoBe. Our 11 spacious suites were newly built to provide hideaways for those who seek luxury, modern amenities and who want to be in the heart of where it’s happening yet removed. Literally everything is within walking distance from our front door; from upscale shopping, cafes, restaurants, clubs and more. Each of our huge studios provides Wi-Fi, WEB TV with wireless keypads, Pandora music channel, Premium Web TV Channels and dock stations for your phone. Modern European style bathrooms with extra-large shower heads and fine towels and linens complete the temporary “escape” from the bustle and excitement below. South Beach’s latest hotel offering… the Ithaca Hotel stands new, fresh and discreet. Call now and speak to our private concierge reservationist who can help plan you south beach dream get away! An oasis above the high energy of South Beach, the ‘new’ Ithaca Boutique Hotel sits ½ block from one of the most sought after vacation hot spots in the world; “Ocean Drive SoBe”. Boutique 18, a 12 room cooler-than-thou Art Deco District address is just blocks from killer boutique shopping on Lincoln Road.